#GoRedWearRed | MacKellar Associates, Inc.
For the first year, local firm MacKellar Associates, Inc. (and The Blanket Lady) joined the American Heart Association’s Go Red movement to raise heart-health awareness, as prevention is everything. 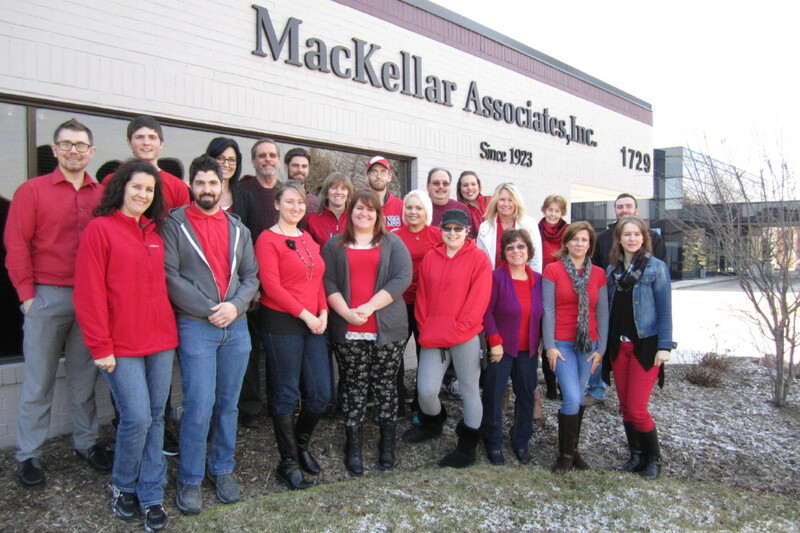 The MacKellar team was encouraged to show their support by wearing red on February 5th and to bring awareness to the leading cause of death in the United States. Heart disease kills more women than all forms of cancer combined, according to the American Heart Association. The good news is that heart disease can often be prevented when people make healthy choices and manage their health conditions. Communities, health professionals, and families can work together to create opportunities for people to make healthier choices. “Together, we wanted to show how our MacKellar team goes red,” stated Andrew MacKellar, Vice President, Operations. “We are hopeful that our employees will live heart healthy lives and spread the word to their family and friends.” The employees were provided the sources to learn more about heart disease, preventatives of strokes, educational programs, and how they can show their support year round. The MacKellar team were also hopeful that their followers on social media were living heart healthy lives and invited them to join in the #GoRedWearRed challenge. MacKellar Promotional Marketing and The Blanket Lady followers were asked to raise their voice and show support by typing #GoRedWearRed for a chance at winning one of The Blanket Lady’s red and white, personalized chevron blankets.